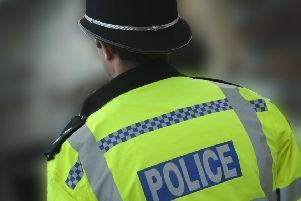 A woman fought off an attacker who tried to sexually assault her as she walked through Horsham. Police said the woman, in her 20s, was walking along Brighton Road in the early hours of Saturday (April 14) when she was grabbed by a man close to the junction with Gorings Mead. Officers said he grabbed her neck and pulled her clothing before she kicked him and ran away. The incident occurred at around 12.30am and police have released an efit of the suspect. He is described as tall with blonde hair, blue eyes, stubble, medium build, black shoes with laces, tight blue jeans with a brown belt and a blue polo top with a yellow symbol on the left of the chest. He had a grey Nike jacket on and was late 20s to early 30s. The victim described him as smelling of Malibu, cigarettes and Calvin Klein. He had a scar on the right side of his stomach and possibly had a pierced tongue. Detective constable Kai Murray said: “The victim was extremely shaken by the incident and has been able to help us with this clear description. Anyone with any information is asked to reported it online quoting serial 86 of 14/04.